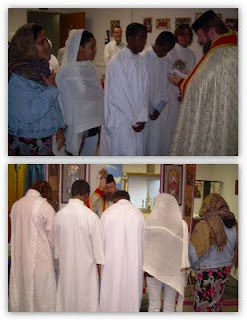 At the last Sunday before classes began, students received a special blessing at the mission. Pictured are two college students and three high school students. May the Lord guide our students with the light of Truth, helping them to walk in His ways, that they may be successful in all their endeavors at school+ Amen.